Last month I shared that my husband and I are on the road to becoming debt free. One of the major areas we spend the most money in our home is on food. Because we prefer cooking from scratch and using real food, that is not an easy task, while reducing your budget. However, we recently became acquainted with Azure Standard through Covenant Ranch Trucking (who deliver Azure products). I first heard about Azure from my friend Amy and met Mrs. Joseph Wood (wife of the owner of CovenantRanch Trucking) a few months ago. After reading Amy’s review and speaking with Mrs. Wood, my curiosity was peaked. They seemed to have exactly what we are looking for: Good, real food that can be purchased in bulk – and will save us money. Needless to say, I was (and am) happy to share them with you. We ordered a $50 basket of of food (that we received in exchange for an honest review). Our order included: Organic Red Wheat, Coconut Oil, Dried Blueberries and Pineapple, Kale Chips, Spaghetti seasoning and peanut butter. I’ll be honest and say I was very happy to receive the wheat. The price was much lower than what I am used to paying and the quality was phenomenal. My children were ecstatic over the Dried Blueberries and pineapple, as well as the kale chips. They made great healthy snacks during an afternoon trip to the pool. And the peanut butter – is a brand that I love. However, I am not able to purchase it locally at a price that is even close to the price I would pay for it through Azure. And, the spaghetti seasoning helped me create some very yummy spaghetti dinners over the past few months. Right now, Covenant Ranch Trucking does not deliver to Georgia, where we live. However, they do deliver to TN (as well as several other states). Because they are now in TN, I am anxiously awaiting their decision to deliver to GA! Right now, we will order our food and have it delivered via USPS. And once awareness has grown in the area and they are delivering, I know our grocery bill and overall budget will dramatically drop. No more trips to the grocery store means: less gas traveling back and forth and no more splurge purchases (ack – they get me, do they you?). For each month that a you would like to place an order the minimum is $50. However, if your order is less than $50, you are charged a small order fee of $5. Azure does not require monthly orders, you can order as often as you would like without penalty. Ready to order? Use this–>CRT Ordering Guide to help you. You can find additional information on how to order and various drop locations here – at this website . AND you can visit this blog with that has Azure product information, recipes and nutrition/family health focused blog posts. So, I need your help. I need you to go to Azure Standard and look at all of the well-priced products they have. Then, I need you to contact Mrs. Woods via the Covenant Ranch Trucking Facebook page or by calling Covenant Ranch Trucking at: 785-380-0034. Tell them you want them to begin delivery in Ga (or the state you are located in). And – Tell your friends! Seriously, this is not a ‘share’ my post request. This is a pick up your phone and call your friends and tell them request. And…..enter to win your own basket from Azure Standard (compliments of Covenant Ranch Trucking) for $50 of products below! Free Montessori Math Videos – My friend Deb has gathered some great videos to help with math. These can be used for homeschool or homework. And they are FREE! Frugal is the New Cool – Kelli is relaunching her blog and bringing it home with some fantastic posts for living a frugal life. Jump over, read her post and check out her new – online home. Enter to win a $50 basket of products from Azure Standard – compliments of CovenantRanch Trucking! 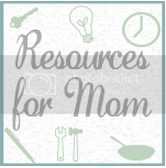 Link UP Now, it’s time to link up – share your post and read all of the great resources created by Moms for Mom! Also, please take a moment and comment on the post in front of yours or behind it. Let’s encourage one another and build a beautiful community! Note: WE received these products from Covenant Ranch Trucking in exchange for our honest opinion. No other compensation was (or will be) received. Azure looks very interesting. I’ll definitely check it out. Wish I knew people in GA to pass this on to, but I live in TN. Thanks for the heads up. I think I’d like to try the white cheddar popcorn seasoning. Yum! We’re low on coconut oil. As in, out. So that. Thanks so much for featuring my post, Rebecca! I enjoyed learning a bit about Covenant Ranch Trucking at the 2:1 Conference. I enjoyed learning more today! I’d like to try some granola through Azure Standard. I’ve been wanting to try stevia. I would love the wheat flour, I use wheat flour for all my mixes. Great giveaway! I’ve been really curious about ordering from Azure. I keep hearing about them and I know they have a drop where I live. I’d like to try getting some flours that are harder to find around here. We usually end up buying a lot at Costco, but I just found out that they fund Planned Parenthood and that bothers me, even though I know we can’t avoid spending money at every single place that funds something I object to. I’d love to support a smaller, family owned, faith friendly business! I’ve heard of them, but never used them. I will have to look into them more. First time on your blog! A good friend pointed me here to learn about Azure. I’m from GA also, the Savannah area (stationed at Fort Stewart) but from Savannah. Really wish they were in our area! I’d order all the time. I’d order too many things to list lol. I guess I’d have to start with the nuts and W.W. Pastry flour. I couldn’t find WW pastry flour anywhere last week when I was trying out a recipe that will be a staple in our house now. I’m going to register on the site and drop them a line that they have another person in GA who wants a route here! The fresh produce is wonderful – they have amazing prices on cases of apples! Canned organic pumpkin, tomatoes, etc. We’ve been using Azure for the past 2 years and LOVE it! The fresh produce is the best especially when apple season begins. I’d order some sucanat, hard white wheat, beans, or maybe quinoa. I would order bulk baking supplies. We love Azure! I’m in definite need of more Ezekial Bread! Love eating real foods. And yes, it is HARD on a budget. Very hard. I LOVE Azure Standard! We got a drop near us about a year ago, and have been pleased with everything! I love their flours, I regularly order 3 different types for baking. We’ve ordered from Azure a few times now. Oats, soaked tortillas, soap, a few other things. I think the oats were a particularly good price compared to what we’ve normally gotten in bulk around here. I want to order flour and produce! I just discovered that we have a delivery route close to us! I love their organic fresh produce and their yogurt choices! So much better than the local stores! Azure Standard is great! I haven’t ordered much from them this summer, due to our wacky schedule, but plan on starting back up this fall. Also, if you have a ‘small’ order — you can always combine with a friend and avoid the $5 charge! I would order coconut oil and bulk beans. Thanks for the chance to win! We enjoy trying different bulk options – chia seeds, flour, oats, nuts, etc! Such a huge selection! First time hearing about this company! Would like to try some pastas, dessert baking items, etc. Thank you! I’d love all of their products! Namely…raw cheese! I would love to try their nut butters and coconut oil. I would love a chance to try any of their products.